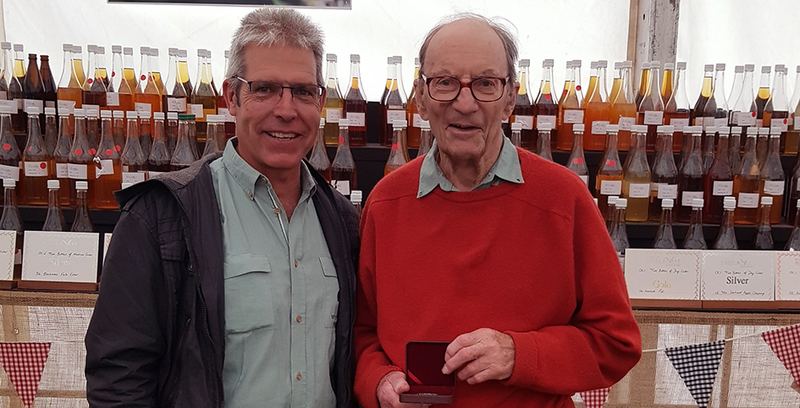 A Somerset orchard has won the top prize for the Best Innovative Cider Orchard at the Royal Bath & West Society Show 2018. West Bradley Orchards, near Glastonbury, was described by the judges as “containing more experimental trials than any of the other orchards which we judged. Four apple varieties, four support systems, and three different tree spacings will guide growers of future orchards in Somerset into producing the most economic and high-quality apples”. Edward Clifton-Brown, who has owned the orchards for 30 years, said: “We’re thrilled to have won such a prestigious award. We pride ourselves on producing high quality fruit across all our varieties. We do this partly be employing new methods and techniques, to maximise our fruit production and ensure exceptional quality. Visitors are able to see West Bradley Orchards for themselves in September, when the orchards are open to the public for the Pick-Your-Own weekends, which run each weekend from Friday to Sunday. One of only three dessert apple orchards in Somerset and spread over 70 acres, West Bradley Orchards has been growing apples commercially for over a century and sells cider apples, dessert apples, pears and walnuts. Fruit from West Bradley Orchards goes into award winning ciders from across the country including Thatcher’s and The Shepton Mallet Cider Mill.